Click the Mailchimp tab in Member Splash and then Add New Email. Create your email. Basic instructions can be found here. 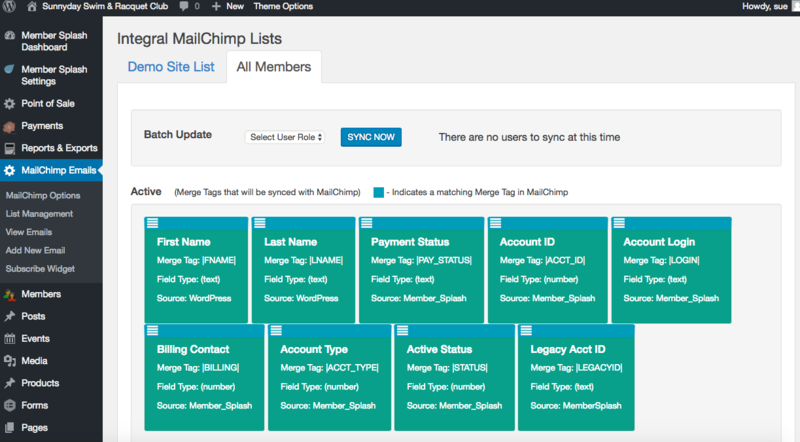 The List Management menu in the Mail Chimp plugin shows the merge tag for each field. Type the merge tag exactly as it appears between the two pipe symbols.